Sir Arthur Stanley Eddington OM FRS (28 December 1882 – 22 November 1944) was an English astronomer, physicist, and mathematician of the early 20th century who did his greatest work in astrophysics. He was also a philosopher of science and a populariser of science. The Eddington limit, the natural limit to the luminosity of stars, or the radiation generated by accretion onto a compact object, is named in his honour. Around 1920, he anticipated the discovery and mechanism of nuclear fusion processes in stars, in his paper "The Internal Constitution of the Stars". At that time, the source of stellar energy was a complete mystery; Eddington was the first to correctly speculate that the source was fusion of hydrogen into helium. He is famous for his work concerning the theory of relativity. Eddington wrote a number of articles that announced and explained Einstein's theory of general relativity to the English-speaking world. World War I severed many lines of scientific communication and new developments in German science were not well known in England. He also conducted an expedition to observe the solar eclipse of 29 May 1919 that provided one of the earliest confirmations of general relativity, and he became known for his popular expositions and interpretations of the theory. Eddington was born 28 December 1882 in Kendal, Westmorland (now Cumbria), England, the son of Quaker parents, Arthur Henry Eddington, headmaster of the Quaker School, and Sarah Ann Shout. His father taught at a Quaker training college in Lancashire before moving to Kendal to become headmaster of Stramongate School. He died in the typhoid epidemic which swept England in 1884. His mother was left to bring up her two children with relatively little income. The family moved to Weston-super-Mare where at first Stanley (as his mother and sister always called Eddington) was educated at home before spending three years at a preparatory school. The family lived at a house called Varzin, 42 Walliscote Road, Weston-super-Mare. There is a commemorative plaque on the building explaining Sir Arthur's contribution to science. In 1893 Eddington entered Brynmelyn School. He proved to be a most capable scholar, particularly in mathematics and English literature. His performance earned him a scholarship to Owens College, Manchester (what was later to become the University of Manchester) in 1898, which he was able to attend, having turned 16 that year. He spent the first year in a general course, but turned to physics for the next three years. Eddington was greatly influenced by his physics and mathematics teachers, Arthur Schuster and Horace Lamb. At Manchester, Eddington lived at Dalton Hall, where he came under the lasting influence of the Quaker mathematician J. W. Graham. His progress was rapid, winning him several scholarships and he graduated with a B.Sc. in physics with First Class Honours in 1902. Based on his performance at Owens College, he was awarded a scholarship to Trinity College, Cambridge in 1902. His tutor at Cambridge was Robert Alfred Herman and in 1904 Eddington became the first ever second-year student to be placed as Senior Wrangler. After receiving his M.A. in 1905, he began research on thermionic emission in the Cavendish Laboratory. This did not go well, and meanwhile he spent time teaching mathematics to first year engineering students. This hiatus was brief. Through a recommendation by E. T. Whittaker, his senior colleague at Trinity College, he secured a position at the Royal Observatory in Greenwich where he was to embark on his career in astronomy, a career whose seeds had been sown even as a young child when he would often "try to count the stars". In January 1906, Eddington was nominated to the post of chief assistant to the Astronomer Royal at the Royal Greenwich Observatory. He left Cambridge for Greenwich the following month. He was put to work on a detailed analysis of the parallax of 433 Eros on photographic plates that had started in 1900. He developed a new statistical method based on the apparent drift of two background stars, winning him the Smith's Prize in 1907. The prize won him a Fellowship of Trinity College, Cambridge. In December 1912 George Darwin, son of Charles Darwin, died suddenly and Eddington was promoted to his chair as the Plumian Professor of Astronomy and Experimental Philosophy in early 1913. Later that year, Robert Ball, holder of the theoretical Lowndean chair also died, and Eddington was named the director of the entire Cambridge Observatory the next year. In May 1914 he was elected a Fellow of the Royal Society: he was awarded the Royal Medal in 1928 and delivered the Bakerian Lecture in 1926. Eddington also investigated the interior of stars through theory, and developed the first true understanding of stellar processes. He began this in 1916 with investigations of possible physical explanations for Cepheid variable stars. He began by extending Karl Schwarzschild's earlier work on radiation pressure in Emden polytropic models. These models treated a star as a sphere of gas held up against gravity by internal thermal pressure, and one of Eddington's chief additions was to show that radiation pressure was necessary to prevent collapse of the sphere. He developed his model despite knowingly lacking firm foundations for understanding opacity and energy generation in the stellar interior. However, his results allowed for calculation of temperature, density and pressure at all points inside a star, and Eddington argued that his theory was so useful for further astrophysical investigation that it should be retained despite not being based on completely accepted physics. James Jeans contributed the important suggestion that stellar matter would certainly be ionized, but that was the end of any collaboration between the pair, who became famous for their lively debates. Eddington defended his method by pointing to the utility of his results, particularly his important mass-luminosity relation. This had the unexpected result of showing that virtually all stars, including giants and dwarfs, behaved as ideal gases. In the process of developing his stellar models, he sought to overturn current thinking about the sources of stellar energy. Jeans and others defended the Kelvin–Helmholtz mechanism, which was based on classical mechanics, while Eddington speculated broadly about the qualitative and quantitative consequences of possible proton-electron annihilation and nuclear fusion processes. With these assumptions, he demonstrated that the interior temperature of stars must be millions of degrees. In 1924, he discovered the mass-luminosity relation for stars (see Lecchini in #External links and references ). Despite some disagreement, Eddington's models were eventually accepted as a powerful tool for further investigation, particularly in issues of stellar evolution. The confirmation of his estimated stellar diameters by Michelson in 1920 proved crucial in convincing astronomers unused to Eddington's intuitive, exploratory style. Eddington's theory appeared in mature form in 1926 as The Internal Constitution of the Stars, which became an important text for training an entire generation of astrophysicists. Eddington's work in astrophysics in the late 1920s and the 1930s continued his work in stellar structure, and precipitated further clashes with Jeans and Edward Arthur Milne. An important topic was the extension of his models to take advantage of developments in quantum physics, including the use of degeneracy physics in describing dwarf stars. The topic of extension of his models precipitated his famous dispute with Subrahmanyan Chandrasekhar, who was then a student at Cambridge. Chandrasekhar's work presaged the discovery of black holes, which at the time seemed so absurdly non-physical that Eddington refused to believe that Chandrasekhar's purely mathematical derivation had consequences for the real world. History clearly proved Eddington wrong, but his motivation remains a matter of some controversy. Chandrasekhar's narrative of this incident, in which his work is harshly rejected, portrays Eddington as rather cruel, dogmatic, and racist. Eddington's criticism seems to have been based on a suspicion that a purely mathematical derivation from relativity theory was not enough to explain away the seemingly daunting physical paradoxes that were inherent to degenerate stars. During World War I, Eddington was Secretary of the Royal Astronomical Society, which meant he was the first to receive a series of letters and papers from Willem de Sitter regarding Einstein's theory of general relativity. Eddington was fortunate in being not only one of the few astronomers with the mathematical skills to understand general relativity, but owing to his internationalist and pacifist views inspired by his Quaker religious beliefs, one of the few at the time who was still interested in pursuing a theory developed by a German physicist. He quickly became the chief supporter and expositor of relativity in Britain. He and Astronomer Royal Frank Watson Dyson organized two expeditions to observe a solar eclipse in 1919 to make the first empirical test of Einstein's theory: the measurement of the deflection of light by the sun's gravitational field. In fact, Dyson's argument for the indispensability of Eddington's expertise in this test was what prevented Eddington from eventually having to enter military service. When conscription was introduced in Britain on 2 March 1916, Eddington intended to apply for an exemption as a conscientious objector. Cambridge University authorities instead requested and were granted an exemption on the ground of Eddington's work being of national interest. In 1918, this was appealed against by the Ministry of National Service. Before the appeal tribunal in June, Eddington claimed conscientious objector status, which was not recognized and would have ended his exemption in August 1918. A further two hearings took place in June and July, respectively. Eddington's personal statement at the June hearing about his objection to war based on religious grounds is on record. Astronomer Royal, Sir Frank Dyson, supported Eddington at the July hearing with a written statement, emphasising Eddington's essential role in the solar eclipse expedition to Principe in May 1919. Eddington made clear his willingness to serve in the Friends' Ambulance Unit, under the jurisdiction of the British Red Cross, or as a harvest labourer. However, the tribunal's decision to grant a further twelve months exemption from military service was on condition of Eddington continuing his astronomy work, in particular in preparation for the Principe expedition. The war ended before the end of his exemption. One of Eddington's photographs of the total solar eclipse of 29 May 1919, presented in his 1920 paper announcing its success, confirming Einstein's theory that light "bends"
After the war, Eddington travelled to the island of Príncipe off the west coast of Africa to watch the solar eclipse of 29 May 1919. During the eclipse, he took pictures of the stars (several stars in the Hyades cluster include Kappa Tauri of the constellation Taurus) in the region around the Sun. According to the theory of general relativity, stars with light rays that passed near the Sun would appear to have been slightly shifted because their light had been curved by its gravitational field. This effect is noticeable only during eclipses, since otherwise the Sun's brightness obscures the affected stars. Eddington showed that Newtonian gravitation could be interpreted to predict half the shift predicted by Einstein. Eddington's observations published the next year confirmed Einstein's theory, and were hailed at the time as evidence of general relativity over the Newtonian model. The news was reported in newspapers all over the world as a major story. Afterward, Eddington embarked on a campaign to popularize relativity and the expedition as landmarks both in scientific development and international scientific relations. It has been claimed that Eddington's observations were of poor quality, and he had unjustly discounted simultaneous observations at Sobral, Brazil, which appeared closer to the Newtonian model, but a 1979 re-analysis with modern measuring equipment and contemporary software validated Eddington's results and conclusions. The quality of the 1919 results was indeed poor compared to later observations, but was sufficient to persuade contemporary astronomers. The rejection of the results from the Brazil expedition was due to a defect in the telescopes used which, again, was completely accepted and well understood by contemporary astronomers. The minute book of Cambridge ∇ 2V Club for the meeting where Eddington presented his observations of the curvature of light around the sun, confirming Einstein's Theory of General Relativity. They include the line "A general discussion followed. The President remarked that the 83rd meeting was historic". Throughout this period, Eddington lectured on relativity, and was particularly well known for his ability to explain the concepts in lay terms as well as scientific. He collected many of these into the Mathematical Theory of Relativity in 1923, which Albert Einstein suggested was "the finest presentation of the subject in any language." He was an early advocate of Einstein's General Relativity, and an interesting anecdote well illustrates his humour and personal intellectual investment: Ludwik Silberstein, a physicist who thought of himself as an expert on relativity, approached Eddington at the Royal Society's (6 November) 1919 meeting where he had defended Einstein's Relativity with his Brazil-Principe Solar Eclipse calculations with some degree of skepticism, and ruefully charged Arthur as one who claimed to be one of three men who actually understood the theory (Silberstein, of course, was including himself and Einstein as the other). When Eddington refrained from replying, he insisted Arthur not be "so shy", whereupon Eddington replied, "Oh, no! I was wondering who the third one might be!" Eddington was also heavily involved with the development of the first generation of general relativistic cosmological models. He had been investigating the instability of the Einstein universe when he learned of both Lemaître's 1927 paper postulating an expanding or contracting universe and Hubble's work on the recession of the spiral nebulae. He felt the cosmological constant must have played the crucial role in the universe's evolution from an Einsteinian steady state to its current expanding state, and most of his cosmological investigations focused on the constant's significance and characteristics. In The Mathematical Theory of Relativity, Eddington interpreted the cosmological constant to mean that the universe is "self-gauging". During the 1920s until his death, Eddington increasingly concentrated on what he called "fundamental theory" which was intended to be a unification of quantum theory, relativity, cosmology, and gravitation. At first he progressed along "traditional" lines, but turned increasingly to an almost numerological analysis of the dimensionless ratios of fundamental constants. His basic approach was to combine several fundamental constants in order to produce a dimensionless number. In many cases these would result in numbers close to 1040, its square, or its square root. He was convinced that the mass of the proton and the charge of the electron were a natural and complete specification for constructing a Universe and that their values were not accidental. One of the discoverers of quantum mechanics, Paul Dirac, also pursued this line of investigation, which has become known as the Dirac large numbers hypothesis, and some scientists even today believe it has something to it. A somewhat damaging statement in his defence of these concepts involved the fine structure constant, α. At the time it was measured to be very close to 1/136, and he argued that the value should in fact be exactly 1/136 for epistemological reasons. Later measurements placed the value much closer to 1/137, at which point he switched his line of reasoning to argue that one more should be added to the degrees of freedom, so that the value should in fact be exactly 1/137, the Eddington number. Wags at the time started calling him "Arthur Adding-one". This change of stance detracted from Eddington's credibility in the physics community. The current measured value is estimated at 1/137.035 999 074(44). Eddington believed he had identified an algebraic basis for fundamental physics, which he termed "E-numbers" (representing a certain group – a Clifford algebra). These in effect incorporated spacetime into a higher-dimensional structure. While his theory has long been neglected by the general physics community, similar algebraic notions underlie many modern attempts at a grand unified theory. Moreover, Eddington's emphasis on the values of the fundamental constants, and specifically upon dimensionless numbers derived from them, is nowadays a central concern of physics. In particular, he predicted a number of hydrogen atoms in the Universe 136 × 2256, or equivalently the half of the total number of particles protons + electrons. . He did not complete this line of research before his death in 1944; his book Fundamental Theory was published posthumously in 1948. Eddington is credited with devising a measure of a cyclist's long-distance riding achievements. The Eddington number in the context of cycling is defined as the maximum number E such that the cyclist has cycled E miles on E days. For example, an Eddington number of 70 would imply that the cyclist has cycled at least 70 miles in a day on 70 occasions. Achieving a high Eddington number is difficult since moving from, say, 70 to 75 will probably require more than five new long distance rides since any rides shorter than 75 miles will no longer be included in the reckoning. Eddington's own E-number was 84. The Eddington number for cycling is analogous to the h-index that quantifies both the actual scientific productivity and the apparent scientific impact of a scientist. The Eddington Number for cycling has units (indeed applying it to any physical property will result in E having units). For example, an E of 62 miles means a cyclist has covered 62 or more miles on 62 or more days. However, in units of kilometers the 62 miles becomes 100 km. It is possible that the cyclist, while having covered 100 km on 62 days or more, may not have covered 100 km on 100 days or more. Thus the order of bicyclists may change depending on units used. Using the original miles, one cyclist may have an Eddington number of 60 – 60 miles (97 km) in 60 days, another of 50 (corresponding to 80 km). However, the latter may be a regular on a distance like this and get a km-Eddington of 80, while the former only had those 60 days riding, and thus stays at a km-Eddington of 60. Eddington wrote in his book The Nature of the Physical World that "The stuff of the world is mind-stuff." The mind-stuff of the world is, of course, something more general than our individual conscious minds ... The mind-stuff is not spread in space and time; these are part of the cyclic scheme ultimately derived out of it ... It is necessary to keep reminding ourselves that all knowledge of our environment from which the world of physics is constructed, has entered in the form of messages transmitted along the nerves to the seat of consciousness ... Consciousness is not sharply defined, but fades into subconsciousness; and beyond that we must postulate something indefinite but yet continuous with our mental nature ... It is difficult for the matter-of-fact physicist to accept the view that the substratum of everything is of mental character. But no one can deny that mind is the first and most direct thing in our experience, and all else is remote inference. —  Eddington, The Nature of the Physical World, 276–81. The idealist conclusion was not integral to his epistemology but was based on two main arguments. The first derives directly from current physical theory. Briefly, mechanical theories of the ether and of the behaviour of fundamental particles have been discarded in both relativity and quantum physics. From this, Eddington inferred that a materialistic metaphysics was outmoded and that, in consequence, since the disjunction of materialism or idealism are assumed to be exhaustive, an idealistic metaphysics is required. The second, and more interesting argument, was based on Eddington's epistemology, and may be regarded as consisting of two parts. First, all we know of the objective world is its structure, and the structure of the objective world is precisely mirrored in our own consciousness. We therefore have no reason to doubt that the objective world too is "mind-stuff". Dualistic metaphysics, then, cannot be evidentially supported. But, second, not only can we not know that the objective world is nonmentalistic, we also cannot intelligibly suppose that it could be material. To conceive of a dualism entails attributing material properties to the objective world. However, this presupposes that we could observe that the objective world has material properties. But this is absurd, for whatever is observed must ultimately be the content of our own consciousness, and consequently, nonmaterial. Ian Barbour, in his book Issues in Science and Religion (1966), p. 133, cites Eddington's The Nature of the Physical World (1928) for a text that argues the Heisenberg Uncertainty Principles provides a scientific basis for "the defense of the idea of human freedom" and his Science and the Unseen World (1929) for support of philosophical idealism "the thesis that reality is basically mental". There is a doctrine well known to philosophers that the moon ceases to exist when no one is looking at it. I will not discuss the doctrine since I have not the least idea what is the meaning of the word existence when used in this connection. At any rate the science of astronomy has not been based on this spasmodic kind of moon. In the scientific world (which has to fulfill functions less vague than merely existing) there is a moon which appeared on the scene before the astronomer; it reflects sunlight when no one sees it; it has mass when no one is measuring the mass; it is distant 240,000 miles from the earth when no one is surveying the distance; and it will eclipse the sun in 1999 even if the human race has succeeded in killing itself off before that date. Against Albert Einstein and others who advocated determinism, indeterminism—championed by Eddington—says that a physical object has an ontologically undetermined component that is not due to the epistemological limitations of physicists' understanding. The uncertainty principle in quantum mechanics, then, would not necessarily be due to hidden variables but to an indeterminism in nature itself. During the 1920s and 30s, Eddington gave numerous lectures, interviews, and radio broadcasts on relativity, in addition to his textbook The Mathematical Theory of Relativity, and later, quantum mechanics. Many of these were gathered into books, including The Nature of the Physical World and New Pathways in Science. His skillful use of literary allusions and humour helped make these famously difficult subjects quite accessible. Eddington's books and lectures were immensely popular with the public, not only because of Eddington's clear and entertaining exposition, but also for his willingness to discuss the philosophical and religious implications of the new physics. He argued for a deeply rooted philosophical harmony between scientific investigation and religious mysticism, and also that the positivist nature of modern physics (i.e., relativity and quantum physics) provided new room for personal religious experience and free will. Unlike many other spiritual scientists, he rejected the idea that science could provide proof of religious propositions. He is sometimes misunderstood as having promoted the infinite monkey theorem in his 1928 book The Nature of the Physical World, with the phrase "If an army of monkeys were strumming on typewriters, they might write all the books in the British Museum". It is clear from the context that Eddington is not suggesting that the probability of this happening is worthy of serious consideration. On the contrary, it was a rhetorical illustration of the fact that below certain levels of probability, the term improbable is functionally equivalent to impossible. His popular writings made him a household name in Great Britain between the world wars. Eddington died of cancer in the Evelyn Nursing Home, Cambridge, on 22 November 1944. He was unmarried. His body was cremated at Cambridge Crematorium (Cambridgeshire) on 27 November 1944; the cremated remains were buried in the grave of his mother in the Ascension Parish Burial Ground in Cambridge. Cambridge University's North West Cambridge Development has been named "Eddington" in his honour. The Times, Thursday, 23 November 1944; pg. 7; Issue 49998; col D: Obituary (unsigned) – Image of cutting available at O'Connor, John J.; Robertson, Edmund F., "Arthur Eddington", MacTutor History of Mathematics archive, University of St Andrews . Eddington is a central figure in the short story "The Mathematician's Nightmare: The Vision of Professor Squarepunt" by Bertrand Russell, a work featured in The Mathematical Magpie by Clifton Fadiman. He was portrayed by David Tennant in the television film Einstein and Eddington, a co-production of the BBC and HBO, broadcast in the United Kingdom on Saturday, 22 November 2008, on BBC2. His thoughts on humour and religious experience were quoted in the adventure game The Witness (2016 video game), a production of the Thelka, Inc., released on 26 January 2016. Time placed him on the cover on 16 April 1934. 1914. Stellar Movements and the Structure of the Universe. London: Macmillan. 1918. Report on the relativity theory of gravitation. London, Fleetway press, Ltd.
1923, 1952. The Mathematical Theory of Relativity. Cambridge University Press. 1926. Stars and Atoms. Oxford: British Association. 1929. Science and the Unseen World. US Macmillan, UK Allen & Unwin. 1980 Reprint Arden Library ISBN 0-8495-1426-6. 2004 US reprint — Whitefish, Montana : Kessinger Publications: ISBN 1-4179-1728-8. 2007 UK reprint London, Allen & Unwin ISBN 978-0-901689-81-8 (Swarthmore Lecture), with a new foreword by George Ellis. 1935. New Pathways in Science. Cambridge University Press. 1936. Relativity Theory of Protons and Electrons. Cambridge Univ. Press. 1946. Fundamental Theory. Cambridge University Press. ^ Plummer, H. C. (1945). "Arthur Stanley Eddington. 1882–1944". Obituary Notices of Fellows of the Royal Society. 5 (14): 113–126. doi:10.1098/rsbm.1945.0007. ^ a b Eddington, A. S. (1916). "On the radiative equilibrium of the stars". Monthly Notices of the Royal Astronomical Society. 77: 16–35. Bibcode:1916MNRAS..77...16E. doi:10.1093/mnras/77.1.16. ^ a b c d e f Douglas, A. Vibert (1956). The Life of Arthur Eddington. Thomas Nelson and Sons. pp. 92–95. ^ "Library and Archive Catalogue". Royal Society. Retrieved 29 December 2010. ^ Padmanabhan, T. (2005). "The dark side of astronomy". Nature. 435 (7038): 20. Bibcode:2005Natur.435...20P. doi:10.1038/435020a. ^ a b c Chandrasekhar, Subrahmanyan (1983). Eddington: The most distinguished astrophysicist of his time. Cambridge University Press. pp. 25–26. ISBN 0521257468. ^ a b Dyson, F.W. ; Eddington, A.S.; Davidson, C.R. (1920). "A Determination of the Deflection of Light by the Sun's Gravitational Field, from Observations Made at the Solar eclipse of May 29, 1919". Phil. Trans. Roy. Soc. A. 220 (571–581): 291–333. Bibcode:1920RSPTA.220..291D. doi:10.1098/rsta.1920.0009. ^ D. Kennefick, "Testing relativity from the 1919 eclipse – a question of bias," Physics Today, March 2009, pp. 37–42. ^ Kean, Sam (2010). The Disappearing Spoon: And Other True Tales of Madness, Love, and the History of the World from the Periodic Table of the Elements. New York: Little, Brown and Co.
^ Barrow, J. D.; Tipler, F. J. (1986). The Anthropic Cosmological Principle. Oxford: Oxford University Press. ISBN 0-19-851949-4. ^ a b de Koninck, Charles (2008). "The philosophy of Sir Arthur Eddington and The problem of indeterminism". The writings of Charles de Koninck. Notre Dame, Ind. : University of Notre Dame Press. ISBN 978-0-268-02595-3. OCLC 615199716. ^ Douglas, A. Vibert (1956). The Life of Arthur Eddington. Thomas Nelson and Sons. p. 44. ^ "Past Winners of the Catherine Wolfe Bruce Gold Medal". Astronomical Society of the Pacific. Retrieved 19 February 2011. ^ "Henry Draper Medal". National Academy of Sciences. Archived from the original on 26 January 2013. Retrieved 19 February 2011. ^ "A.S. Eddington (1882 - 1944)". Royal Netherlands Academy of Arts and Sciences. Retrieved 25 January 2016. ^ a b c d Who's who entry for A.S. Eddington. Lecchini, Stefano, " How Dwarfs Became Giants. The Discovery of the Mass-Luminosity Relation". Bern Studies in the History and Philosophy of Science, pp. 224 (2007). 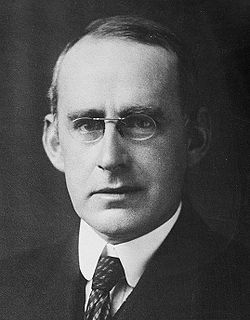 Arthur Stanley Eddington (1882–1944). University of St Andrews, Scotland. Arthur Stanley Eddington The Bruce Medalists. O'Connor, John J.; Robertson, Edmund F., "Arthur Eddington", MacTutor History of Mathematics archive, University of St Andrews . This page is based on the Wikipedia article Arthur Eddington; it is used under the Creative Commons Attribution-ShareAlike 3.0 Unported License (CC-BY-SA). You may redistribute it, verbatim or modified, providing that you comply with the terms of the CC-BY-SA.